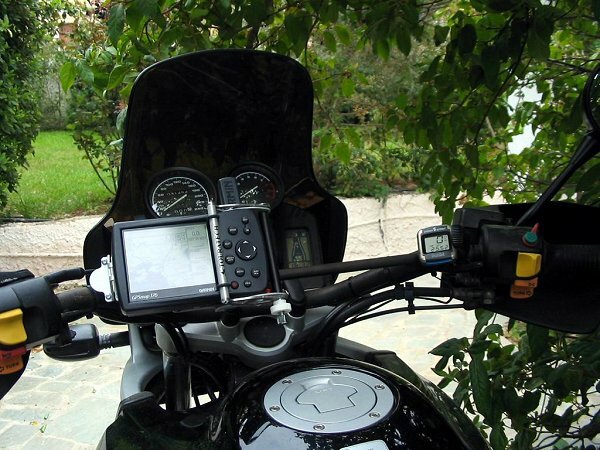 BMW R1100GS with a Garmin GPSMAP 176! I bought a new Garmin GPSMAP 176. I got the monochrome version, after a lot of reading, and advising by people who have actually used it. 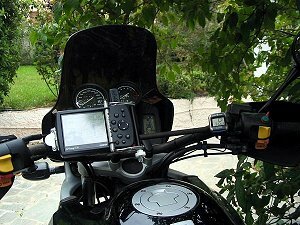 I needed a GPS that has a quite big screen for my ageing eyes to see, as well as quite cheap so I could afford it! 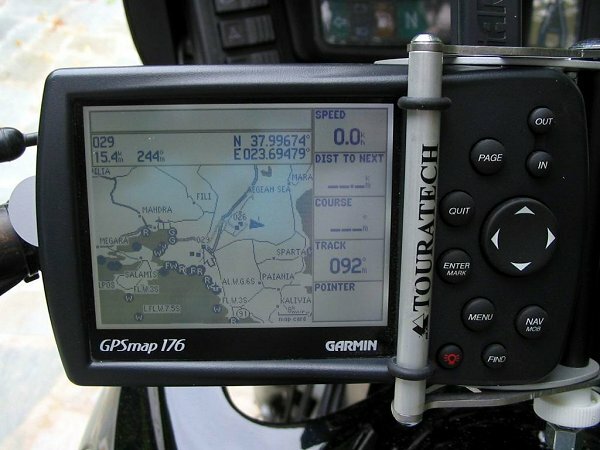 I had my eyes set on Garmin's GPS III Deluxe, but at 1500-1800 euros advertised it was way too much! So, I found this one at the nice folks at www.tvnav.com, who shipped it to Greece in about 15 days and at a price that was (even after customs and local tax) 40% cheaper than what I could find in Greece. The idea was to put it on the BMW, and have it for the forthcoming trip to Holland, in June/July 2004. EP9 here I come, and I won't lose my way! This is my home waypoint, as shown in Mapsource worldmap. 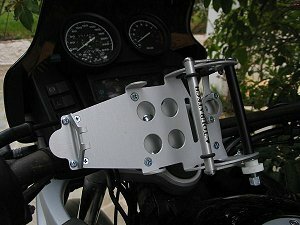 I bolted a Touratech base on the handlebar and I intend to do the wiring during the weekend, according to the very valuable instructions of Jim Seavey, of course! The base was bought locally at MAKAN, the Touratech distributors in Athens. 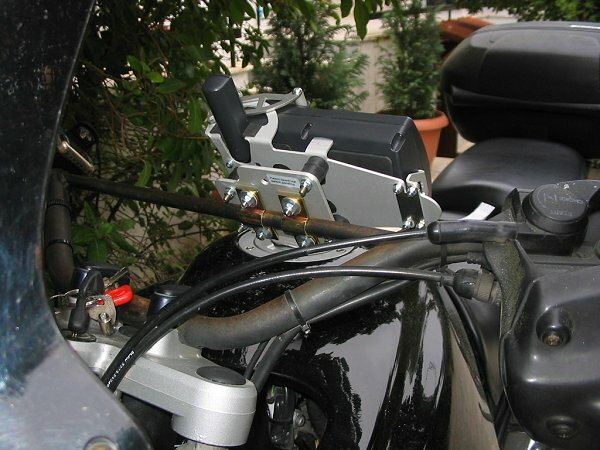 So far, and before doing the electrics to power the GPS from the bike, I run it on NiCD batteries. I've done quite a few trips in Athens, and checked that the old Mapsource map I have got is quite OLD and inaccurate at times! But it's good fun! I also bought a few accessories for this GPS, this time from www.gpsgeek.com. Specifically: A Gilsson 32mb datacard, a Gilsson 2m. magnetic antenna and a cable to get power from the car lighter plug. Not bad!